Wanted to make a new theme for Sentora, so here is the S-Type theme..
That's also possible, just go to one of my active demo's found on sentorademo.tk and select the S-Type theme in the theme changer. Extract the zip file and rename the directory to S-Type. Upload your S-Type directory into /etc/sentora/panel/etc/styles directory on your Sentora server. 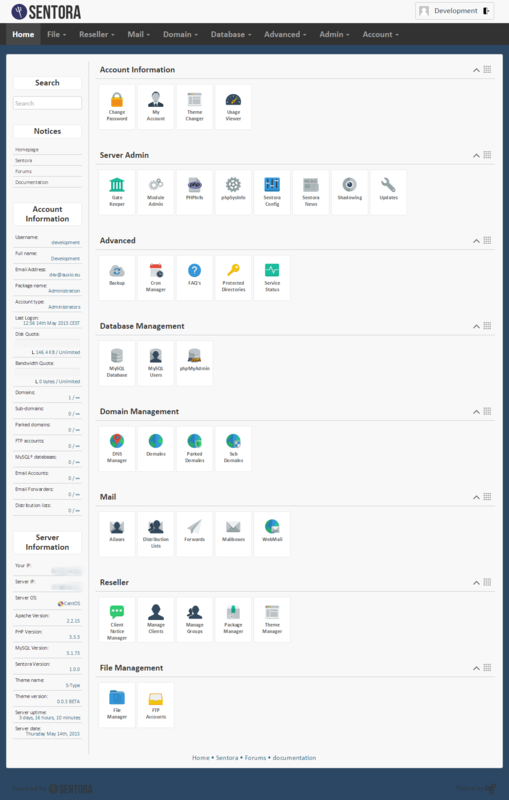 Go to your Sentora Admin => Reseller => Theme Manager choose S-Type and save. 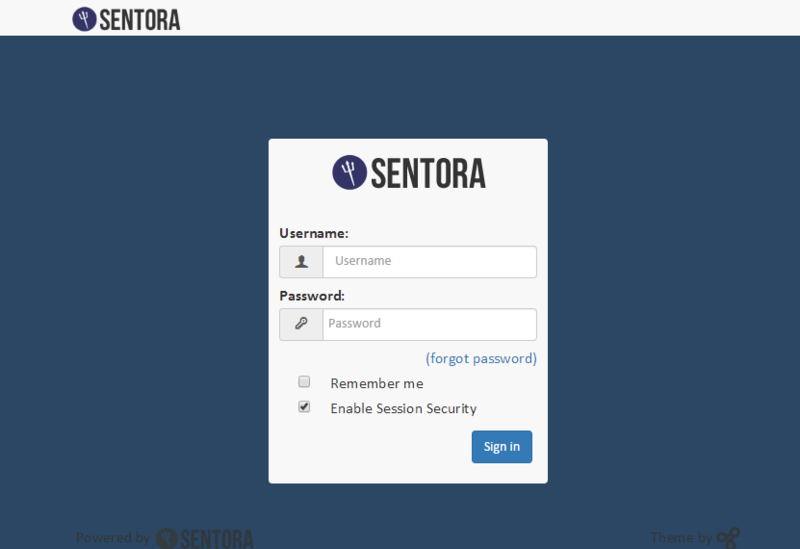 Download the latest S-Type for Sentora Here! So it can be used for personal and commercial purposes, but do not remove or edit the .st-footer div! which contains Powered by and Theme by ! It's easy, just copy the following lines of css to a new css file with a unique name in the CSS directory of S-Type. If you want to add your own branding take a look at the custom.css file. 14-05-2015 Started public beta with version number 0.0.3 BETA. 24-05-2015 couple of bugfixes and updated to version number 1.0.0. I've tried to take this into account by using multiple lines and small fonts.. In german i have no problems with the small left panel. Do you have pictures when it does not fit? There's a bug, the logo is linking to Zentora theme. Er zit een foutje in je theme, op de login pagina, heb je een <img> tag naar /etc/styles/Zentora/logo.png. Moet S-Type zijn ipv Zentora. Thank you, i have fixed it on Github..
Yeah, as you know by now i have reused some parts from Zentora.. So you did removed or edited the footer text and ignored all warning signs of doing this.. Restore the footer, there is an sappared part where you can insert an copyright or something.. Check out the custom.css file for more information about branding the S-Type theme like stated in OP. Updated custom.css to be more clear about this..
2. Remove the JS code which checks whether the copyright is removed or not. lol it looks professional, but it issent.. I know it would be cracked in seconds if you know a little about html/js..
(05-15-2015, 04:53 AM)Ron-e Wrote: lol it looks professional, but it issent..
isn't it .ztml instead of .zmtl?